This is the second class in a series of three classes that will teach, and expand on, some basic crocheting skills. You may join us for one, two, or all three classes depending on your current skill level. The three classes will get progressively more difficult, so if you are a beginner you may start with class #1, and work your way through all three classes. 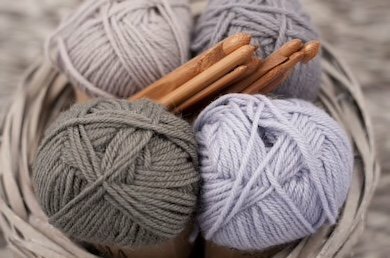 Or, if you are already familiar with crocheting and would just like to learn some new skills/techniques and expand your skill set, you may join us for classes #2 and/or #3! In this second class, geared towards beginner/intermediate level, you will learn how to use the basic crochet stitches to create squares and rows. Minimum 4 students, maximum 10 students. If the minimum number of students is not reached, the class will be cancelled and a refund issued. Online ticket sales will end 48 hours prior to event. If ticket sales have ended, you may call the store to inquire about availability. Class supplies purchased at The Craft Box will receive a 20% discount. Discount applies ONLY to items listed on this supply list. To receive discount, please present this supply list to cashier when purchasing your class supplies.